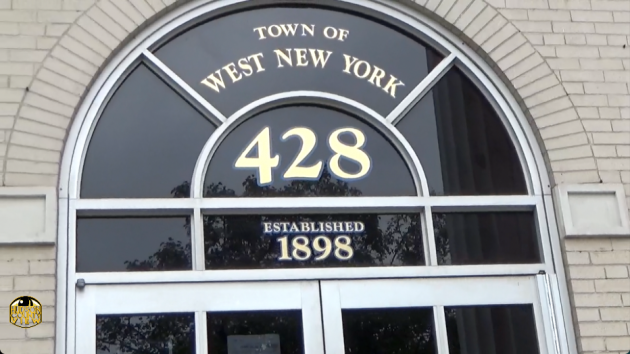 A third ticket, albeit one short of the preferred five running mates, will be joining the two full slates, along with two independent candidates, on the ballot for the West New York municipal elections on May 14th. 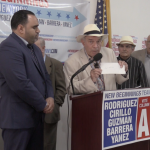 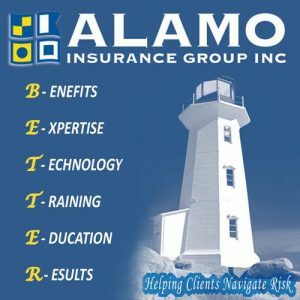 The third ticket will be headed by Anthony Valdes, a former inspector for the town building department, and he’ll be joined by Armando Galis-Menendez – who ran with Anthony DeFino, Jr. in 2015 – as well as first time candidates Manuel Andujar, Jr. and Claudia Calderon. 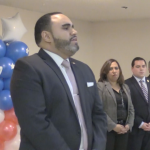 Valdes addressed the “Take Back Our Town” slate’s platform in a Facebook post on Friday night. 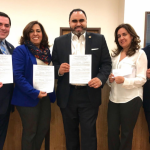 “My team and I have officially gathered and submitted enough petitions to get on the ballot for the upcoming election here in West New York on May 14th. 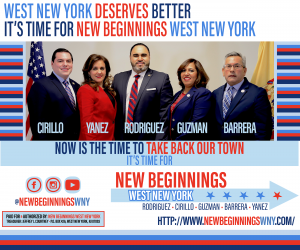 We are a group of born and raised WNYers seeking a positive change in our local government. 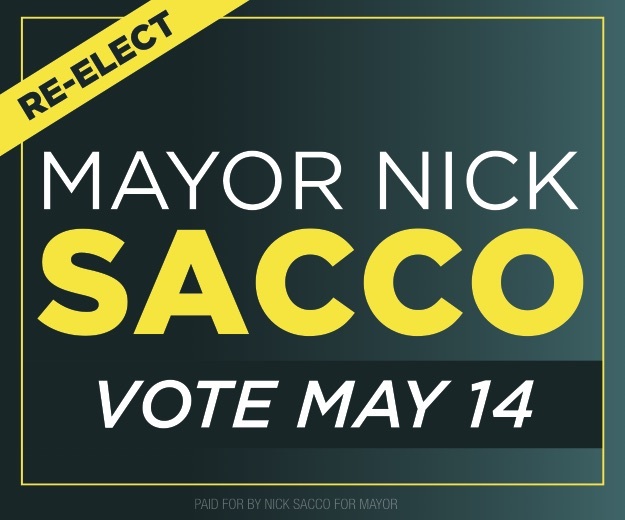 We are not politicians,” he wrote. 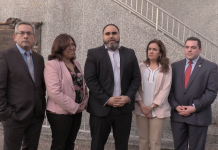 Valdes continued that he is proud that his team is not “beholden to outside politicians” and has no connection to any political machine. 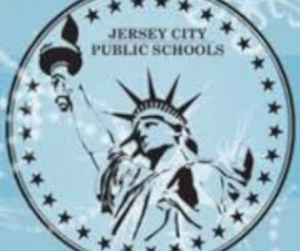 Board of Education Trustee Ron Scheurle had considered running with the aforementioned slate, but opted for a solo run instead when the consensus was that he would not be on top of the ticket, sources with knowledge of the situation told HCV. 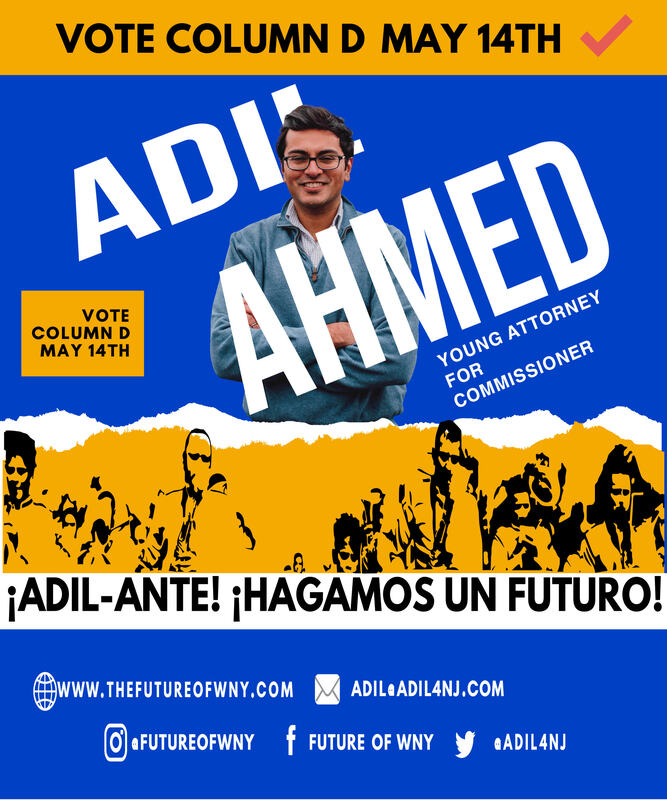 The other independent candidate on the ballot is Adil Ahmed, an attorney who decided to leave his job to focus on the election. 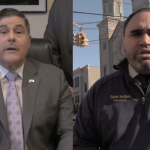 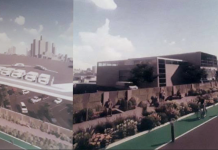 All of these candidates will face an uphill battle against Mayor Felix Roque’s “Forward with Roque” team and Public Safety Commissioner Gabriel Rodriguez’s “New Beginning West New York” ensemble, who will have considerable advantages in terms of fundraising and name recognition. 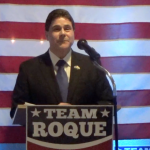 Roque is seeking a third term alongside Public Works Commissioner Susan Colacurcio, Board of Education Trustee, Maite Fernandez, Richard Acosta and Ana Luna. 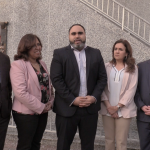 Meanwhile, Rodriguez is looking to oust the mayor with the held of Commissioner Cosmo Cirillo and Margarita Guzman, as well as first time candidates Yoleisy Yanez and Victor Barrera.